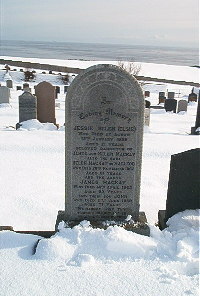 Jessie Helen Mackay (Elsie) died at Achow 12th January 1958 aged 21. Mother Helen Macleod died 26th November 1962 aged 81. Father James Mackay died 14th April 1963 aged 83. Brother John Mackay died 11th June 1989 aged 77. We cannot Lord thy purpose see but all is well thats done by thee.